Employing a professional chef remains vital for the success of the company, whether for a café, restaurant or large hotel. However, retaining and hiring these experts proves something of a challenge because they expect special treatment. You can exercise many options to find the best person for the job. 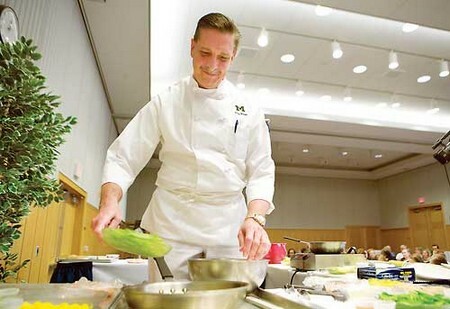 To better assist you, read on and learn how to pick and hire a professional chef. Look for a recruiting agency and sign up. They will assist you in finding a professional chef. Recruitment agencies have their own process of choosing candidates for pooling. They do some tests and countercheck each applicant’s references to validate their skills and knowledge according to your needs. You can provide the agency with a description or list of qualifications for the professional chef you want to hire, including work experience, culinary programs attended, and other information you have set as a standard qualification for the position you offer. You might want to register with online companies such as Global Hospitality or HCareers. They might charge a nominal fee to advertise your job vacancy on their website, but you will know you will find highly competent and skilled individuals. You will also get the chance to screen each application. This will save you time from the long line of applicants who might crowd your office. Find out more about the person you want to hire. Ask for detailed references and the companies with which they have connections, preferably distinguished and reputable restaurants and hotels. Determine if the applicant exhibits reliability and trustworthiness to work as part of your business. This also allows you to assess the applicant’s work ethics through the feedback you have gathered. Inquire with people who have worked with a certain company for quite some time as to whether they know a professional chef seeking other opportunities. Working with your company might prove the opportunity he has anticipated. Find out how to contact the person and set up an interview if possible. You can also provide a calling card just in case these people might know a person in other establishments who meets your criteria. Determine the scope of work or job description you want to give to your professional chef. Do you need an executive chef who will lead your kitchen or a general chef who will work as a team? Or would you like a professional chef specializing in a specific dish or cuisine or a pastry chef for your desserts or baked stuffs? Once you figure out what position you want to uphold, plan and set a suitable salary and contract if necessary.